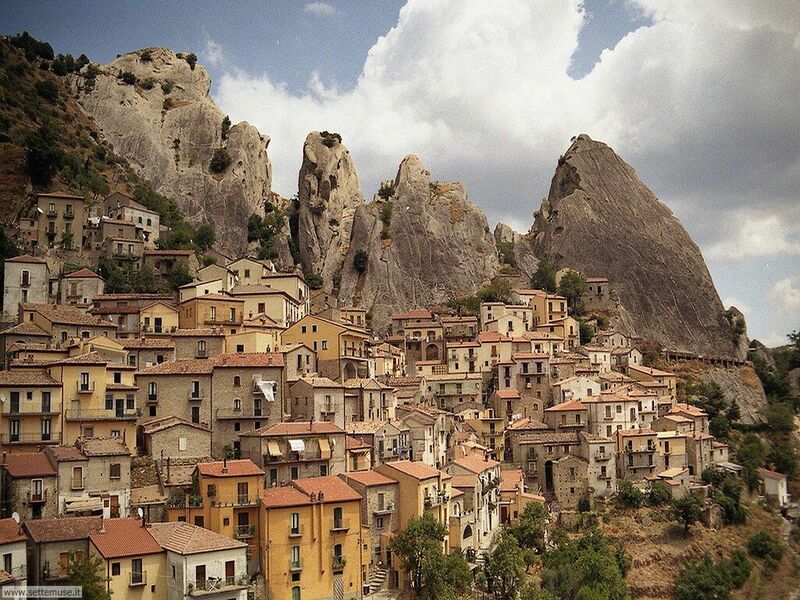 The enchanting village of Castelmezzano is protected by the picturesque scenery of the Dolomites Lucane that backdrop . Over time, the rain and wind have carved in this rock sandstone shapes to which popular tradition has given special names. In fact, with particular conditions of light and shadows it seems to see the "beak of the owl", the "snapdragon" of "anvil" and "eagle." 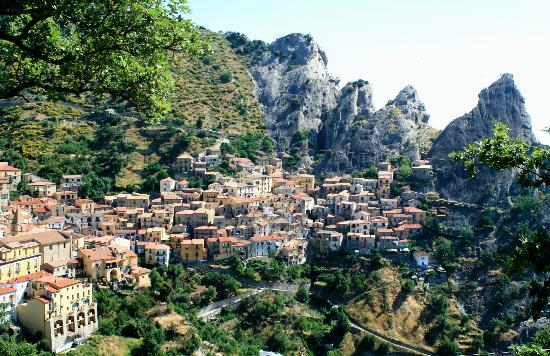 The arrival in this beautiful village is quite unusual because there you enter a tunnel dug into the rock after passing a spectacular gorge. 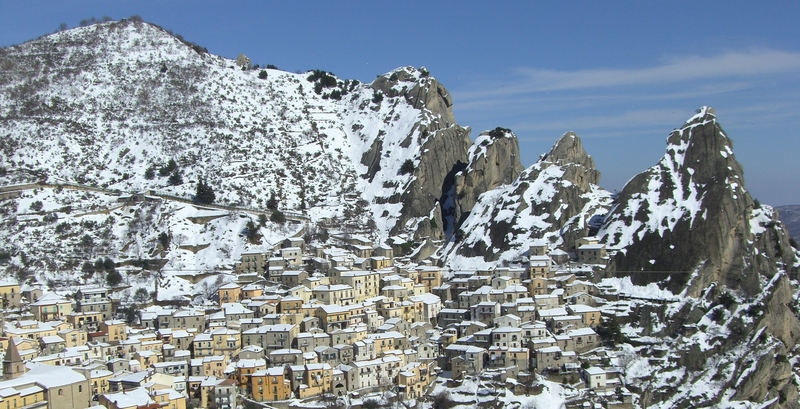 Leaving the tunnel, Castelmezzano appears as a small crib perched and protected by Lucanian Dolomites.